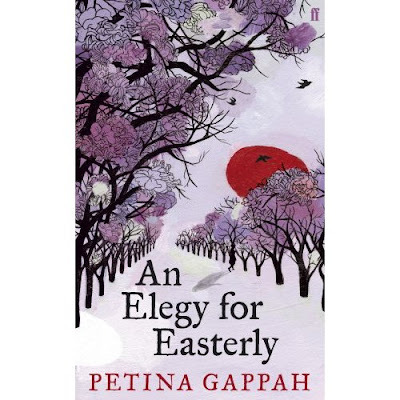 Petina Gappah is a Zimbabwean writer whose work has appeared in Prospect, A Public Space, Per Contra, and The Zimbabwe Times, and on the website of Granta. She holds law degrees from the University of Cambridge, the University of Graz, and the University of Zimbabwe, and works in Geneva as an international trade lawyer. The bugle call shatters the stillness of the shrine. Its familiar but haunting melancholy cannot fail to move. Even the president seems misty-eyed behind his glasses. Close to him in the widow's place of honor, I am aware of his every movement. I watch him without moving my eyes. Perhaps it is not mist in his eyes but the film of my own sudden tears. The badges sprinkled on his sash of office shimmer and recede against the green of the material. He brings his hands together in a clasp that puts the sinews of both hands into relief. It makes him, for a fleeting moment, the very old man that he is. Unexpected pity wells up inside me. Half-remembered lines of poetry come unbidden to my mind: he grows old, he grows old; he shall wear the bottoms of his trousers rolled. There is a parting in his hair, where the white roots at his scalp show in the places that the dye has not reached. Does he count the years and maybe just months and days that remain until he, too, is sounded away by that bugle to lie beneath the blackness of polished marble in the empty space next to the grave of his first wife? The faces of the pallbearers are half hidden by their olive berets. The sun glints on the metal insignias on their epaulettes. Their sabers are reflected on the polished surface of their shoes. They lift the coffin and hoist it upon their shoulders. The flag that covers the coffin slides on the smoothness to reveal the casket of white and gold. The soldiers in the front move their hands simultaneously to keep the flag from slipping away. They march in a one-step pause two-step pause progression until they reach the grave that is lined in green felt. The white man from the funeral home is stiff in his top hat and tails. Where do they find them, these white men with their pinched faces above their funereal clothing? There are almost no whites in the country now. Everything is black and green and brown and white. Black is the marble of the polished gravestones and the mourning clothes. Green is the presidential sash and the olive colors of the berets on the heads of the soldiers and the artificial shining verdancy of the grave. Black is the dark of the gathered masses who listen to the youth choir dressed for battle in bottlegreen fatigues, voices hoarse in the August heat, singing songs from a war that they are not allowed to forget. Black and brown are the surrounding Warren Hills, the hills denuded, with stumps remaining where the trees were, the green trees now the brown wood that replaces the electricity that is not to be found in the homes. The bugle is still as the coffin is lowered. The sudden silence unsettles me out of my thoughts of presidential mortality. I get ready to move forward to walk down to the grave. The president moves also, and I watch him, an old man still, but one who is Commander of the Armed Forces, Defier of Imperialism, and, as he was just moments ago, Orator at the Funerals of Dead Heroes. Just under an hour ago, after the opening prayers and before the final salute, he gave his funeral oration. "He was a fine man, a gallant soldier in the fight for our liberation, a loving husband and father. We condole with his family and his widow, Esther, and urge her to be brave at this time of inconsolable loss." The cameras of the national broadcaster found my face. I was beamed into televisions in homes across the country, brave in my inconsolable loss. The cameras moved back to the president as he said, "I say to you today that, much like the gallant hero we bury here today, you too must guard against complacency. You must follow the example of our fallen comrade who lies here. We must move forward today and strive ahead in togetherness, in harmony, in unity, and in solidarity to consolidate the gains of our liberation struggle." I could see around me eyes glazing over at this seventh oration at the seventh hero's funeral in four months. They are being culled, all of them, age and AIDS will do its work even among the most gallant of heroes; the vice president with the hooded eyes looks like he may be next to go. It must be easy pickings to be the president's speechwriter; all he seems to do to write a new speech is strike out the name of the previously fallen comrade and replace it with that of the newly dead. The president spoke on. The chief justice nodded off. The police commissioner jerked to wakefulness as applause broke out. Only the governor of the Central Bank seemed to listen, face strained with avid attention. At the funeral of the third dead comrade of the year, just a week after the cabinet had finally agreed on the most patriotic figure at which the national currency should be exchanged against the pound and the euro and the dollar and the rand, the president had announced a different, even more patriotic figure. I listened to the rhythm of his speech. Having addressed theme number one, the liberation struggle, it was time for the second theme. By the time I counted down from ten, he would have begun to attack the opposition. As I reached six, his voice echoed out over the hills. "Beware the puppets in the so-called opposition that are controlled from Downing Street. They seek only to mislead with their talk of democracy." The microphone hissed slightly at puppets, making it sound like puppies. Downing Street was his cue to move to the next theme, the small matter of the country's sovereignty: "I say to Blair and to Bush that this country will never, a trillion trillion times never, be a colony again." The microphone gave a piercing protest at the trillion trillion, making the phrase jump out louder than the other words. There was a nugget of newness in the use of trillion and not million as a measure of the impossibility of recolonization. It is three months since inflation reached 3,000,325 percent per annum, making billionaires of everyone, even maids and gardeners. The coffin has been lowered. Rwauya, the eldest son of my husband, guides me down to cast gravel into the grave. He has abandoned his usual dress of trousers of an indeterminate color and shirts which usually manage to exhibit both the lurid colors of the national flag and the president's face. Still, the raw smell of unwashed Rwauya seeps through his crumpled suit. I try not to flinch as he takes my elbow and we follow the president past the graves of the men and two women who are buried here. My handful of dirt makes a splattered brown on the white surface of the coffin. The family follows behind us. My husband's sister Edna breaks into loud keening. "Brother," she wails as she kneels beside the grave. "Come back, my brother. Come back. You have not completed your tasks, brother. See how the nation longs for your return." She makes as though to jump into the grave, and is stopped by her daughters. She stumbles into the president's wife, the second first lady, who soothes her with a perfumed hand to the shoulder. As Edna heaves dry sobs against the black silk of the second first lady's suit, my eyes travel down to Edna's shoes. She really should start investing more money in her shoes; her unshaped peasant's feet require something stronger than cheap zhing-zhong plastic leather shoes to contain them. That Edna makes a spectacle of herself is not surprising. She is given to bursts of emotion calibrated for public consumption. She is always ready to be offended on behalf of others. When I told their family twenty-one years ago that I was leaving her brother, she spoke to her sister in a whisper of theatrical resonance, the better to reach my ears. "Ngazviende," she said, "and good riddance. Real women were divorced to make place for a mhanje such as this one." Thus my introduction to the word mhanje: their word for the lowest form of womanhood, womanhood without womanliness, mhanje being a barren woman, a woman without issue, unproductive, a fruitless husk. There was no question that it could be her brother who was infertile. He had proved his virility in the three children that he had with a woman he had been married to even as he was marrying me in London in a council office with no central heating before an official with mucus drip-dripping into his handkerchief. I thought I loved him; but that was in another country. I exulted to hear him say, "I want a wife who shares in my dreams; an equal, not a subordinate." I helped him to write furious letters of righteous indignation condemning the white-settler regime and the situation in his country. I forgot about the fight against apartheid in my own country as his battle seemed more urgent. We wrote letters and hosted exiles and through long nights we argued about Fanon and Biko and Marx and Engels. That was before we arrived in the country after independence. Before I found out that my husband already had a wife with three children, whose names were not gentle on the tongue. Edna's grave-diving attempts are the only hitch in the choreographed order of the funeral procession. After the immediate family, the important personages scatter earth over the coffin, the members of the politburo file past, then the heads of the army and the air force, then the police commissioner and the director of prisons, then the parliamentarians and the judges according to seniority. --This text refers to the Paperback edition.